My favorite gift to give children is always the gift of reading. I am a total bookworm and find myself gifting books more and more. I See Me! publishes very high quality personalized children's books that build self-esteem by celebrating the uniqueness of each child. These customized books make great gifts for holidays, birthdays and baby showers; for newborns and new big brothers or sisters. I See Me! even offers personalized ornaments. As my daughter's book collection gets bigger, I find that they really love reading their I See Me! Personalized books. With that being said, I See Me! 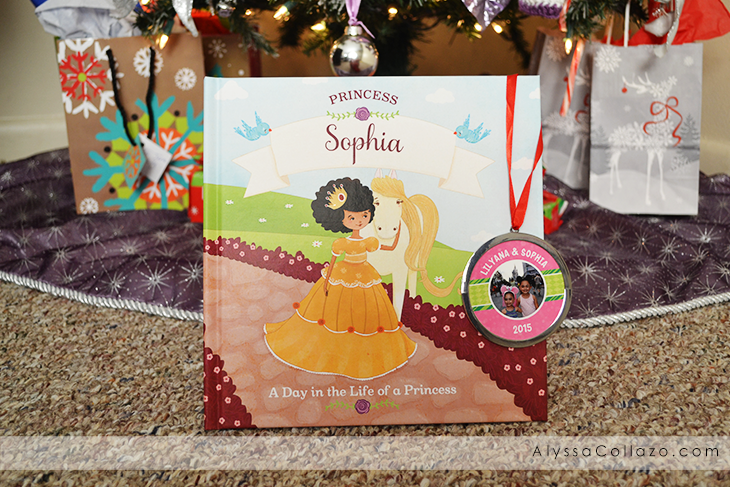 sent us a personalized copy of their new book, A Day in the Life of a Princess. This book is a dream come true for any little princess. I love that I can incorporate my daughters name, skin tone, hair color, photo, hometown, birth date and favorite color throughout the story and I absolutely love that the color yellow was an option. Sophia absolutely loves this book and we read it every night. Don't have a princess? Or your little one isn't into princesses? Don't worry. I See Me! offers many other personalized books to choose from, including My Very Merry Christmas, I'm an All-Star, and My Very Own Trucks. If you Order by December 16th for delivery before Christmas within the continental US. Select “Guaranteed Christmas Delivery” at check-out. I'm a bookworm, too, and I always love to gift books to my grandsons as part of their Christmas. I'm glad they have several different personalized books to pick from. These would make great gifts. This sounds like a wonderful gift idea. 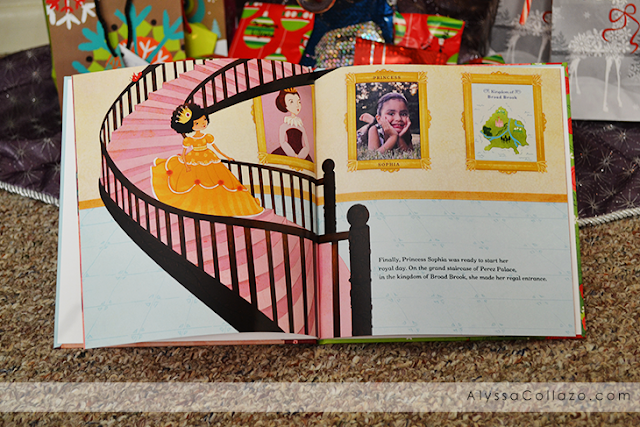 Personalized books are a favorite gift of mine to give to kids! Encouraging a love for books is a worthwhile goal!! My daughters would absolutely love this. They're both total bookworms and can't seem to get enough. One thing I want to put under the tree this year is enough books for them to read so they'll stop bugging me to buy a new one every week. This is a wonderful way to influence kids to read from an early age. It's like they are actually in the story and it draws them in. I always buy some books for Christmas. It is so important for kids. My nieces would love this book! What a beautiful idea! Love that you can use your own photos in the picture book...great keepsake for grandparents and parents alike. It's so sweet to see what they look like "when they were little". I wonder if we can get one in time for Christmas? I love I See Me books and my daughter has a few. I love how you can personalize them! I think books are always one of the best gift ideas. They are educational and at the same time, thoughtful. Aren’t these books absolutely precious and perfect? We just got a couple for my daughter to celebrate Christmas and she adores them. I love that they are personalized and such quality. A great product for any parent that wants to aid their little one in falling in love with the art of the word! Thanks for the guide. This will come in handy for me. What an adorable book. My daughter would love this. I like that there are even ornaments to go along with it. I love I See Me, they truly make quality books that make great mementos. My youngest would enjoy a personalized book. I need to check this out. I love to read when I can! My kids also love to read so this would be a great idea for under the tree! It's great that companies are being more creative to keep kids interested in reading. How awesome is this, my nephew would totally love this as he loves reading too. Anything that is personalized make for a great gift idea for anyone Day In The Life Of A Princess would be an awesome book for my little great niece. She loves princesses and it would be amazing to her being personalized.